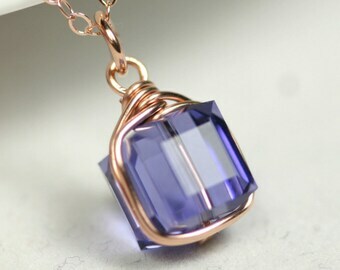 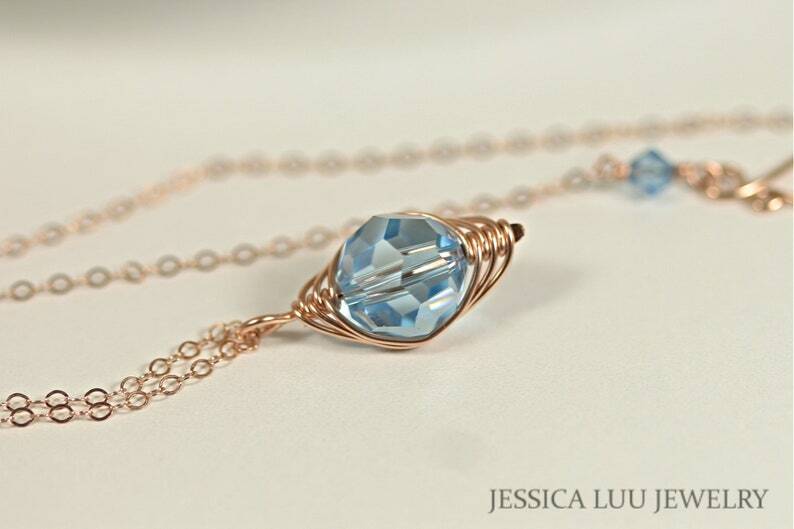 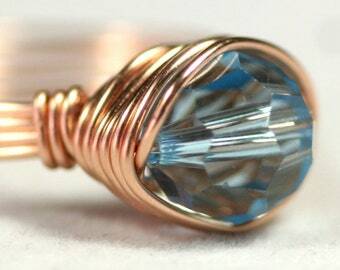 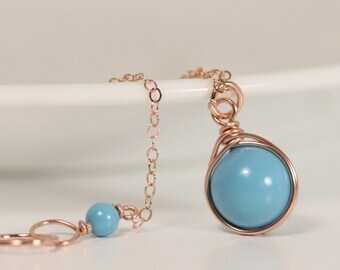 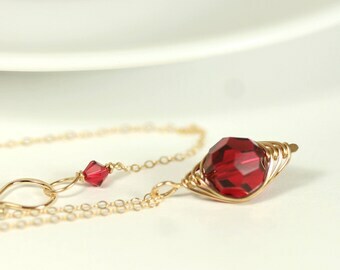 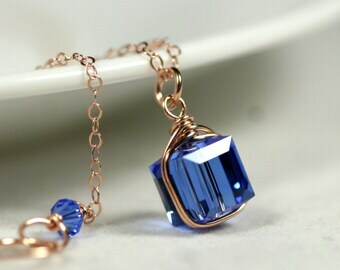 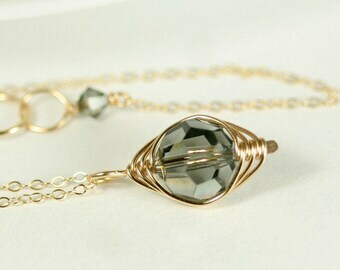 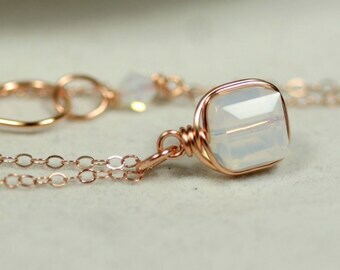 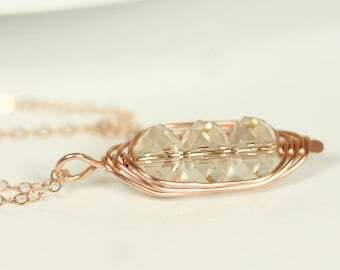 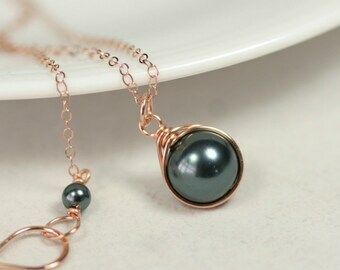 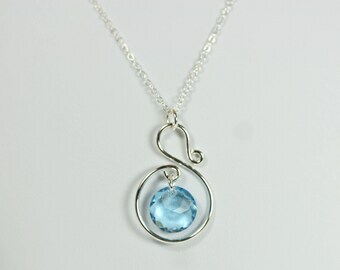 A large aquamarine Swarovski crystal is wrapped in 14K gold filled wire and hung from a delicate 14K gold filled chain. 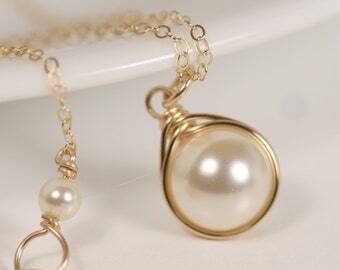 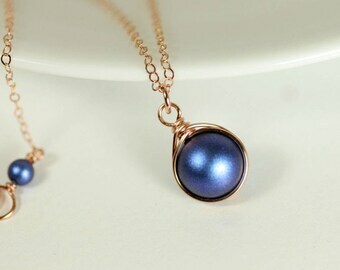 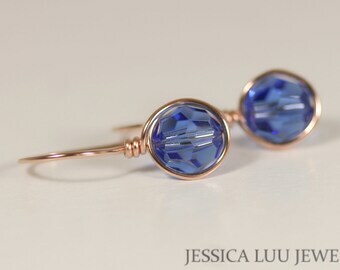 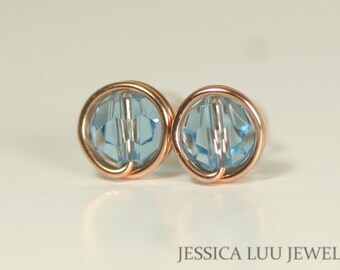 Available in 14K rose and yellow gold filled with matching earrings. 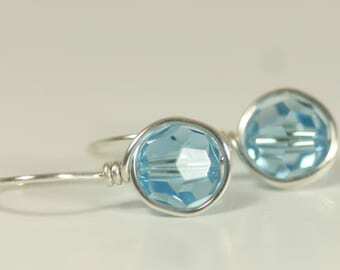 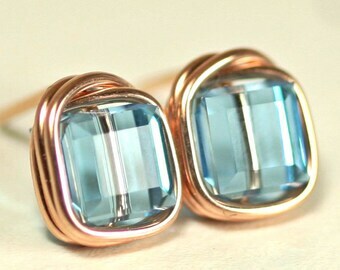 Aquamarine is March's birthstone making this set a thoughtful gift for someone special.